Jaguar is a brand famous for producing vehicles of sheer opulence that are capable of catering to the needs and preferences of nearly all drivers around the world, no matter what their lifestyle. 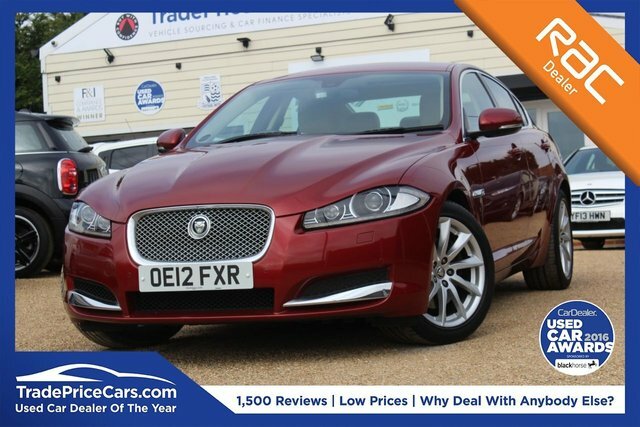 Situated in Essex, Trade Price Cars stocks some of the most practical and good-looking used Jaguars at prices that can easily be tailored to your monthly budget. At Trade Price Cars, we take pride in making the process of buying a used Jaguar much easier by offering the best finance deals in Essex. Get in touch with our experienced and dedicated finance team to arrange the most affordable finance deal on a used Jaguar of your choice. With a broad selection of quality used Jaguars available at Trade Price Cars, there is plenty to choose from when you visit us! If you cannot make the journey to us in Essex, rest assured that we can deliver your car straight to your home ? simply use our online Click and Deliver service, sit back and wait for your stunning new Jaguar to arrive.